The Vegas Golden Knights have made NHL history. The Golden Knights have tied the 1993-94 Florida Panthers and 1993-94 Anaheim Mighty Ducks record for the most wins in a season by an expansion team. 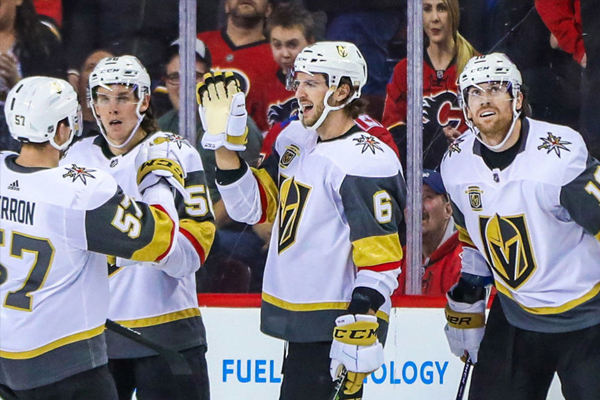 Thanks to goals 10 seconds apart inside the final two minutes of play, the Vegas Golden Knights rallied from behind for a monumental victory on Tuesday night against the Calgary Flames. Erik Haula tied the game and Jonathan Marchessault scored the winner. Vegas’ first chance at breaking the record will come Thursday night against the Winnipeg Jets.